Think Painting is Wellfleet, MA Number One Painting Contractor. We provide expert interior and exterior painting, powerwashing, and restoration. 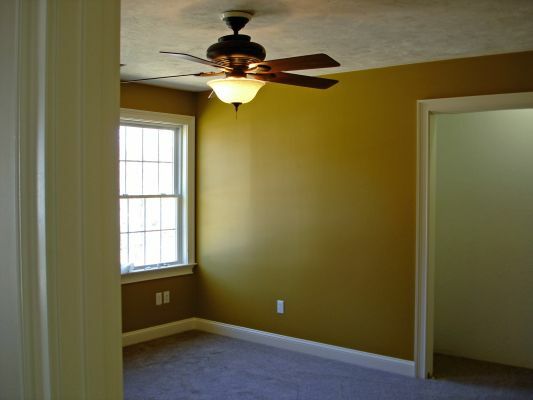 We have provided expert painting services to all homes and business in Wellfleet, MA. 508-740-7001– Free Estimates & Assessment for your painting project in Wellfleet, MA. 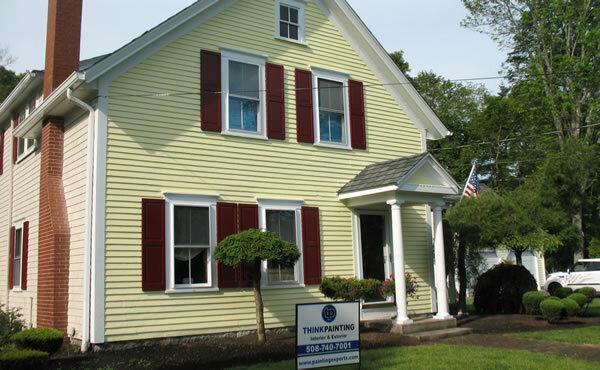 THINKPAINTING is a full-service painting company serving Wellfleet, MA. We specialize in interior and exterior residential & commercial work as well as pressure washing and deck restoration . Our expert, staff prides themselves on providing fantastic customer service and a top-notch quality of work. We are committed to getting the job done right the first time. Our professionalism and courteous conduct are demonstrated by the care given to both you and your home or commercial property. Insurance: We carry two million dollars liability and workmans compensation insurance to protect your investment, your home or business. Experience: We have been in the painting industry over 30 years and my team and I have a combined experience of 100 years. No Sub-contractors: Its very common practice today for company’s to sell you a job and then sub it out to someone else for very low pay. Many times they’ve no insurance or just the certificate covering only the boss and not his helpers. Legal Trades-people : We do not begrudge anyone traveling to our great country to work as long as they come here the lawful way. We do not retain the services of illegal uninsured workers. Year-Round Trades-people: Painting can often be considered a hobby, part-time job or summer job. 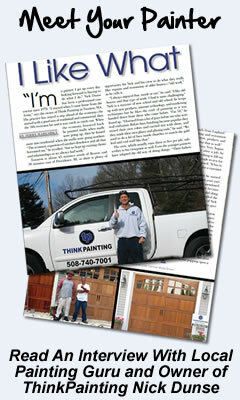 THINKPAINTING considers painting a career and a true job for real people. Prices: THINKPAINTING isn’t the lowest priced contractor in your neighborhood but we are really competitive with other experienced firms like ourselves. We are expert estimators having priced painting projects for over 30 years so we know what it takes for you to get the most from your investment. Have a budget let us know and we will work together with you to get the job done and with in your budget. Guarantee: We offer a 5 yr warranty on all are Exterior painting as long as its done by our specs and we offer it on paper. 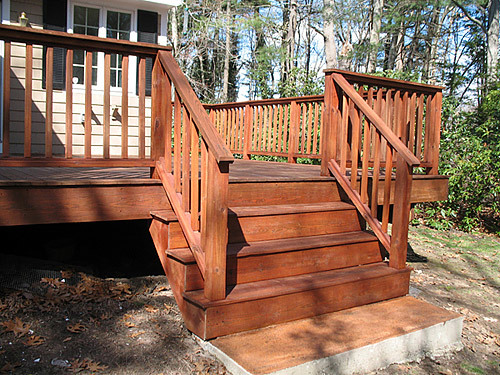 We provide budget-friendly quotes and also have many references in Wellfleet, MA. Now is the time to give the inside of your home a brand new look. Interior painting is our specialty. Interior painting done with unequaled workmanship for your house in Wellfleet, MA. – Application on walls and ceilings generally is done with rollers with extension poles and brushes . Care must be taken to apply the paint evenly with proper coverage to give a expert finished look. If you have popcorn ceilings, they typically are spray painted (in some cases rolling works too). Trim is usually done with brushes (some rolling and backbrushing) and/or HVLP spray for larger surfaces such as wainscoting. The best materials and tools, along with expert application ensure a great finished product for your home in Wellfleet, MA. Wellfleet, MA Exterior Painting Service Done By the professionals. Exterior Painting: Are you looking for a dependable home improvement company? Your search is now over Think Painting and repair services are guaranteed and tested to provide durability. We establish a benchmark in quality, beautification, and preservation in Wellfleet, MA. Our Premium exterior painting service in Wellfleet, MA will give you many many years of beauty and durability. Homeowners in Wellfleet, MA need an exterior paint job that will give great durability, but is also cost-effective. We have designed our Wellfleet, MA Premium painting service around this concept. It gives you durable, cost effective, attractive solutions for your exterior painting needs and fits within most budgets. Superior exterior painting in Wellfleet, MA can give your home amazing curb appeal. The material utilized in our premium service meets or exceeds manufactures’ specifications. Our painters are experienced and the work performed on your house in Wellfleet, MA goes through many quality control checks to insure the best job has been performed. Meeting market standards and manufacturers’ specifications guarantees that your Wellfleet, MA paint job is going to be done correctly. We guarantee you that our qualified painters are educated to carry out your painting project according to well established industry standards, and manufacturers’ specifications. Wellfleet, MA Leading Commercial Painting Contractor. We are a Commercial Painting Contractor devoted to completing projects on-time, on budget, and under expert management for demanding Wellfleet, MA building owners and local contracting companies. Our excellent reputation and 25 years of work experience as a Wellfleet, MA commercial painting contracting company. In Wellfleet, MA ensures you can trust that we make good on our guarantees. Your Wellfleet, MA Commercial Painting Contractor. Complete Commercial Painting Contractor Services. By fulfilling our promises to our clients in Wellfleet, MA as a reputable and efficient commercial painting contractor, we have earned the coveted A+ rating with the BBB for over 25 years of business in Wellfleet, MA. Simply put, our clients in Wellfleet, MA value our commercial painting services because we offer beautiful, long lasting paint jobs supported by an industry-leading guarantee. We guarantee, and have designed everything we do, to offer attractive coating solutions that maximize your return on investment when comes to adopting our commercial painting contracting services in Wellfleet, MA.